This past Saturday in Australia, the ocean conservation and the motion picture community lost two of its great adventurers. Mike DeGruy of Santa Barbara, California, and Andrew Wight of Victoria, Australia were killed when a helicopter owned by Wight crashed just after take-off in North South Wales. The two were reportedly preparing to scout locations for a documentary film they were working on when the helicopter came down. An investigation by Australian authorities is underway to determine the cause. That's the news, the cold hard facts. And it's a tragic loss on two levels. Of course, for the families and close friends of Mike and Andrew, their deaths are painful and made more so by the sudden nature of it; two men doing their job in an aircraft that was probably in the middle of a very routine maneuver, something done hundreds of times before. Although both were adventurers and filmmakers and, by definition, a certain measure of risk is often involved in their work, their long and established careers were testaments to calculated risk. So, an accident like this - while it could be said, they were doing what they loved - it's no less painful and unexpected to those close to them. In addition to the personal loss, is the void it leaves in the ocean conservation and nature filmmaking communities. Andrew Wight, 51, is a well-respected Australian writer and film producer, most recently for the 2010 film, Sanctum, which was executive produced by James Cameron. Their professional relationship had grown and Andrew was working with Cameron on future projects as the head of the Australian office for Cameron's 3D production arm, Cameron Pace. Mike DeGruy, 60, has a distinguished career in ocean studies, starting from his early years with the Waikiki Aquarium as Curator of Invertebrates followed by work in the Enewetak Atoll and Palau, which lead him into making ocean-related films for the BBC, PBS, and National Geographic. Eventually, Mike's enthusiasm and personality made its way in front of the camera and he became an energetic host on many nature television productions. I first met Mike several years ago and while I wouldn't count myself as a close friend, I always found him warm and personable every time we crossed paths. We would start swapping film experiences and as the conversation would continue, they would get a little more blue and funnier as we would try to out do each other with the raunchiest story. 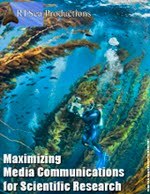 As someone who sees the value of communicating ocean science to the broadest possible audience, this is what I found so infectious with Mike and what made him an ideal on-camera spokesperson whether it was about sharks, squid, or deep sea mysteries. 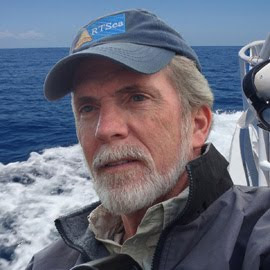 Mike had energy and could communicate the fun and wonder of the seas to a viewing audience and, later, to live audiences through speaking engagements across the globe. We would always end our meetings with his open invitation to stop by his Santa Barbara office. I think he wanted to one-up me one more time with a story and I would have been glad to indulge him. It was always on my "to do" list but I never got around to it and it's an opportunity that I will sorely miss. 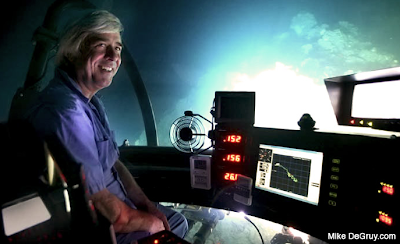 Ocean exploration and conservation need voices like Mike's and Andrew's - voices that can enthrall and educate listeners and viewers, to literally get people pumped up about exploring and protecting the seas. In my limited experience, that is how I will remember Mike, someone whose passion for the oceans and telling a good yarn was apparent to all who came in contact with him. Thank you, Mike. Sure, ocean conservation and the world of wildlife filmmaking will continue on and there will be new, fresh faces who will spread the word about protecting planet Earth. But it will be done only on the shoulders of those who came before - people like Mike DeGruy and Andrew Wight: adventurers, explorers, storytellers all. I had the pleasure of meeting Mike once. He struck me as a wonderful person; someone to admire, respect, and learn from. I'm really sorry we have lost such a productive and positive person. He will really be missed.